Remove The Background provide image editing facilities for e-commerce. 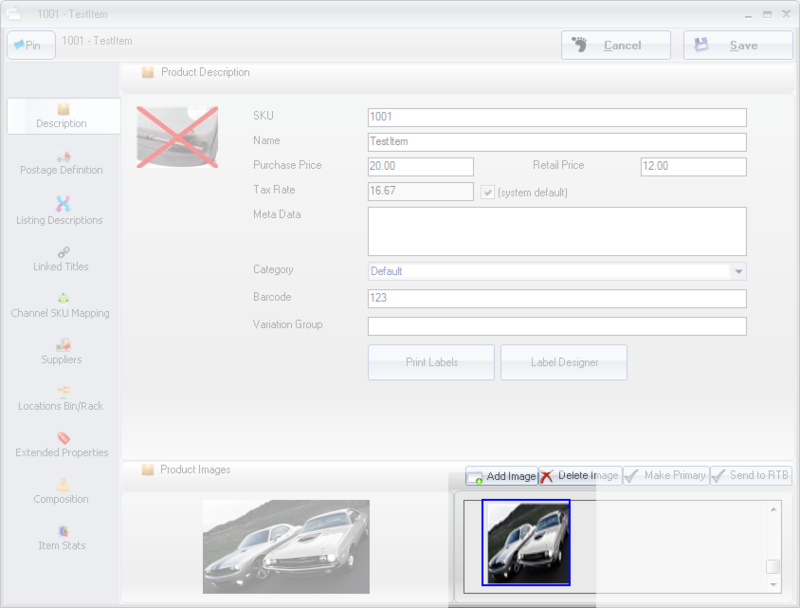 Our integration allows you to assign images to your stock items and send them to Remove The Background for editing without needing to leave the Linnworks software. 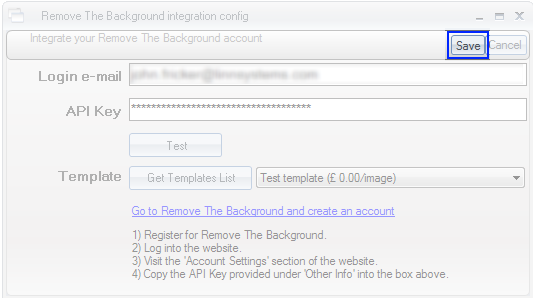 i) Log into your account on the Remove The Background website. ii) Go to the Account Settings section. iii) Copy the API Key provided under 'Other Info' into your clipboard. 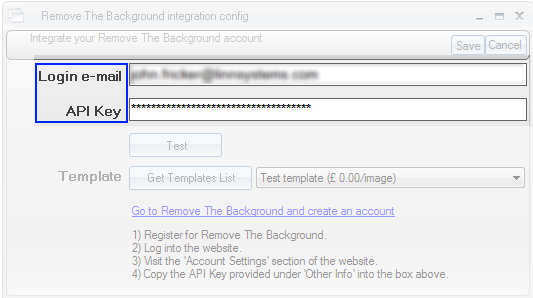 5) Enter the e-mail address associated with your Remove The Background account in the Login e-mail box and paste your API Key into the API Key box. 6) Click Test to verify that your account settings are working. 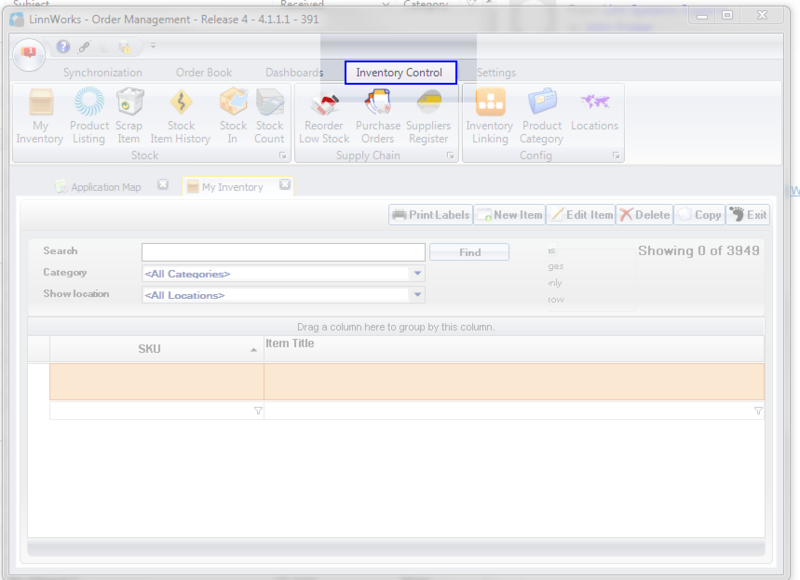 7) Select your template from the dropdown. After your initial signup, you will only see one templated listed here but you can create others on the Remove The Background website. You may only select one template at a time. 8) Click Save to complete the signup process. 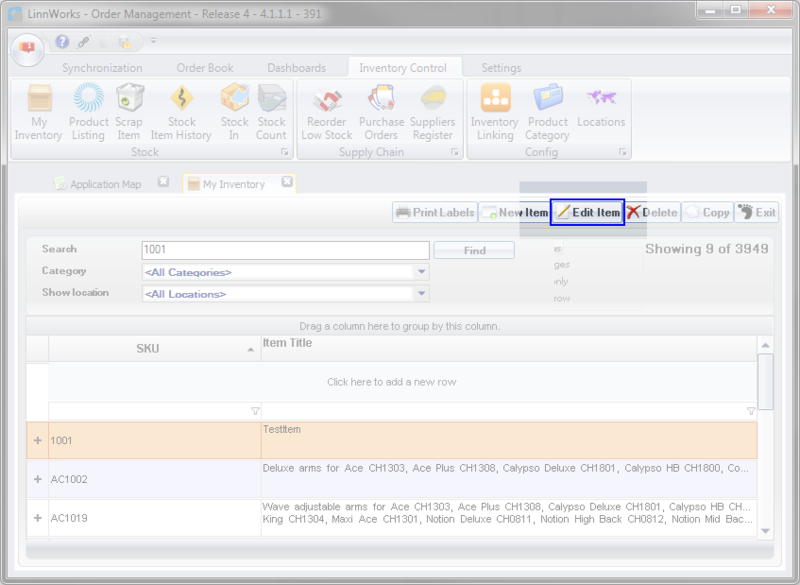 2) Select the stock item to which the image you want to send is assigned. 4) Highlight the image you want to send to Remove The Background and a new button will appear. 5) Click the Send to RTB button. 6) Click Save and close the item editing window. If you change your mind about sending an image for editing, please repeat the steps above for sending an image to Remove The Background. If you highlight an image which has already been flagged for sending, a different button will appear (Cancel RTB). Please note that it is not possible to cancel images which have already entered the production phase at Remove The Background. 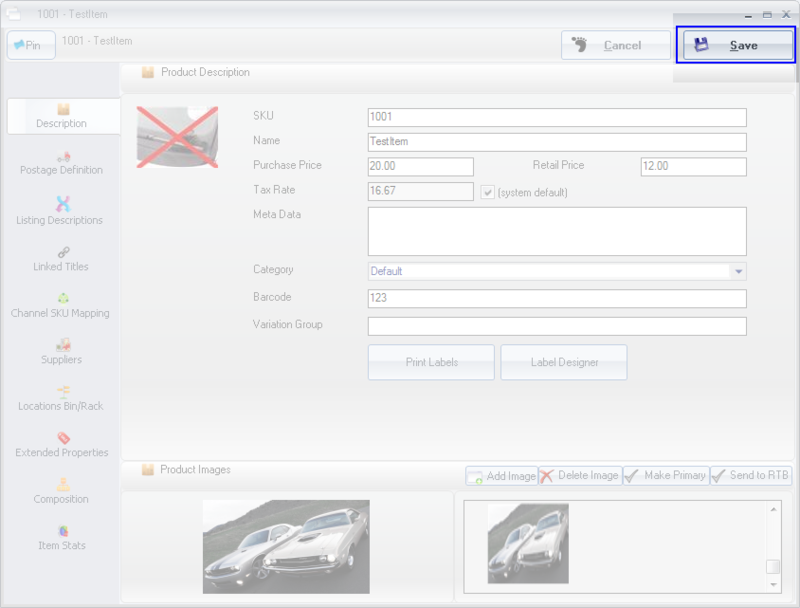 Autosync will normally handle the sending and updating of images for you. Images you have marked to be sent will be uploaded to Remove The Background and completed images will be downloaded as part of the normal synchronisation process. If, however, you want to send the images immediately you can do a manual synchronisation by going to Synchronization > Sync. If you have more than one computer running Linnworks, please perform these steps on the computer you normally use for your synchronisations or temporarily stop autosync on that computer. Please note that it may take up to half an hour for new images to appear on your account on the Remove The Background website. Please be patient. 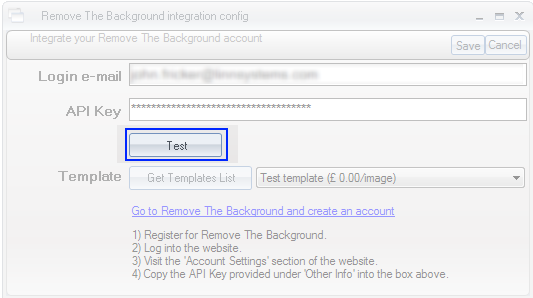 1) Run a manual synchronisation to ensure that you don't have any images waiting to be sent to Remove The Background on the current template. 2) Go to Settings > Channel Integration. 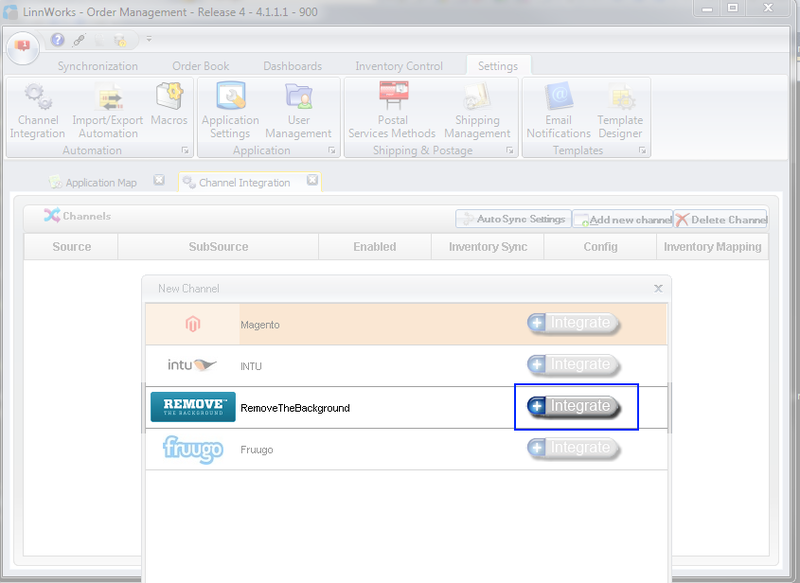 3) Click the Config button next to Remove The Background. 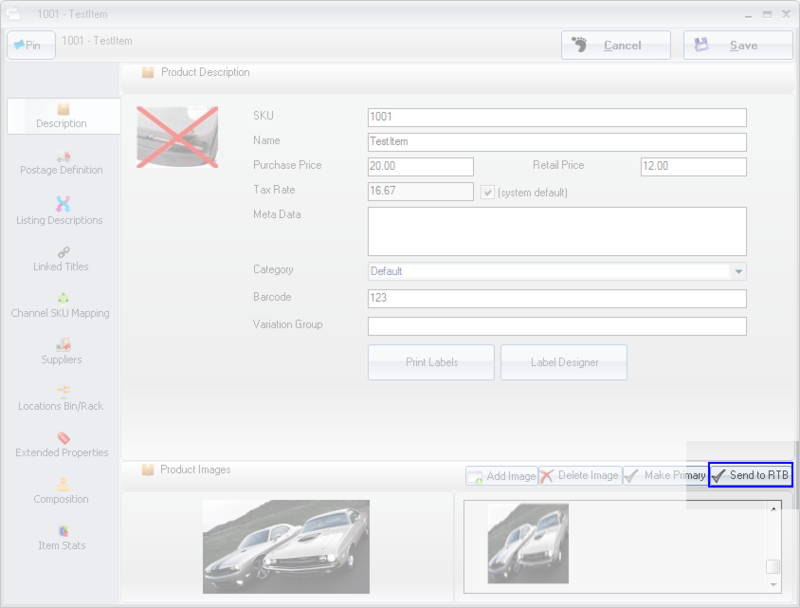 4) Select the template you want to use for the next batch of images. 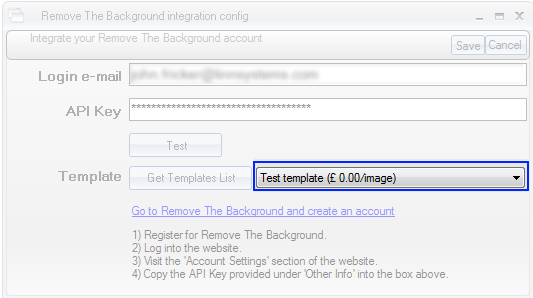 6) Follow the steps under 'Sending Images to Remove The Background' to mark images for sending using this template. 7) Run a manual synchronisation. 8) Optional: Repeat steps 2-5 to return to your normal template for subsequent images. 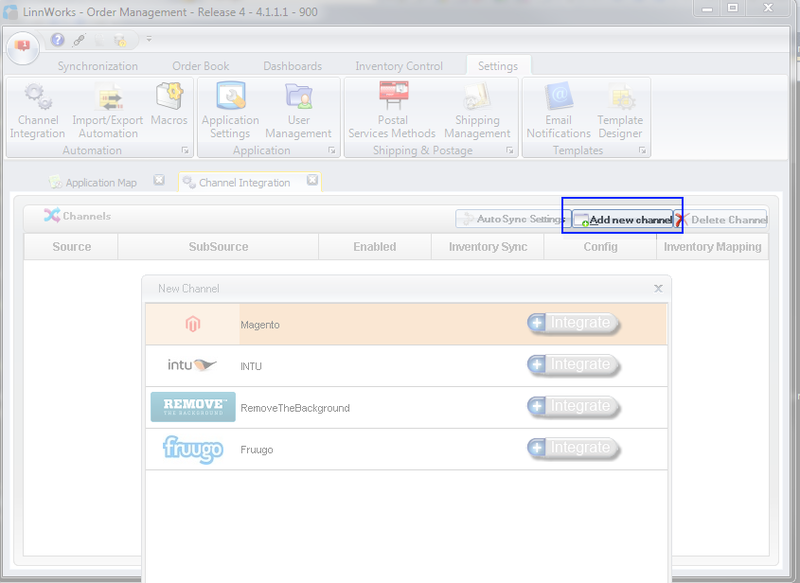 1) Optional: Run a manual synchronisation to ensure that you have the most recent images statuses cached in Linnworks. 2) Go to the Dashboards > Query Data screen. 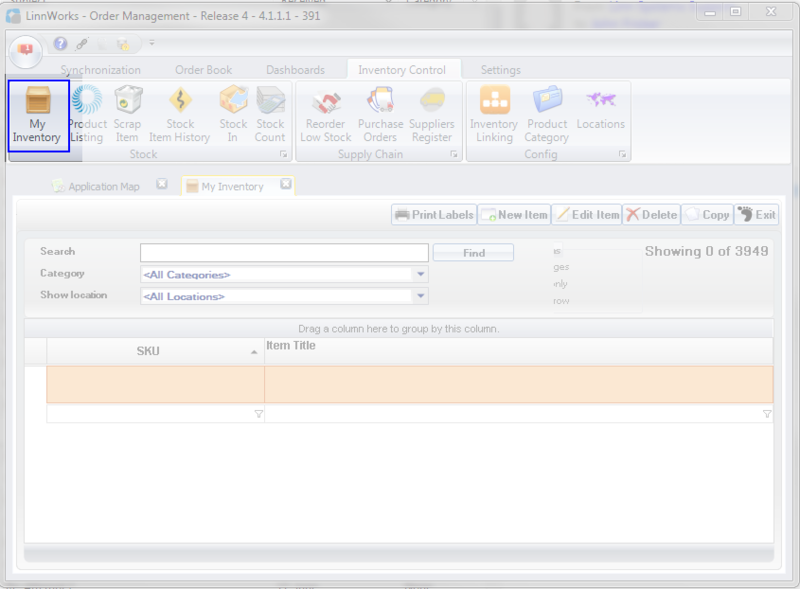 3) Select 'Remove The Background - Log' from the Query Type dropdown. The report will display the status of images sent in the last 30 days. RemoveTheBackground offer 3 free pictures when you trial this service, but after this you will need to pay for further images in your account on their site. Your account on their site will show the amount owing for the pictures you have submitted, and after payment the images will be submitted to their production process and returned to Linnworks.